Did you know there is a Starbucks at the base of the Great Wall of China? Even if you didn’t, it’s not hard to imagine. Not only is there a Starbucks in just about every country, various cultures are expanding and infiltrating foreign places in other ways. Exotic foods are readily available. Hop on a plane and you can get anywhere in the world in a matter of hours. 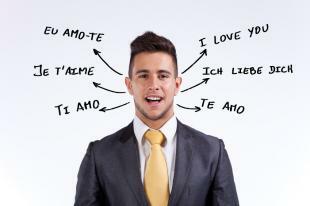 Students around the globe are increasingly required to learn several foreign languages. We live in a globalized world. With so much cultural and linguistic mixing, it’s not hard to imagine that interpreters and translators are some of the fastest growing jobs worldwide. In fact, US News projects that this profession will grow 46.1 % between 2012 and 2022. Interpreters handle verbal communication while translators work with the written word. In the U.S., the most common positions are geared towards people fluent in Romance languages, German, and Russian, but lesser-translated languages give individuals more distinction for harder-to-fill positions. Deaf individuals call for an additional domain for interpreters who know American Sign Language. On average, interpreters and translators make $22 per hour and can work wherever there is a need; such as in schools, hospitals, court rooms, and many times from home! The top interpreters and translators make about $91,800 per year. Sound pretty good? Many interpreters and translators are self-employed and enjoy a variable work schedule. Plus, these professionals enjoy daily interactions with others. I don’t know about you, but I would love a flexible but social job where I can speak a language I love. So what does it take to become an interpreter or translator? The most basic requirement is fluency in both English and at least one other language. Though native speakers of more than one language may be perfectly qualified, a bachelors degree is highly recommended. Why? As we all know, language can be misinterpreted often and even slight nuances can greatly affect meaning. Interpreters and translators are responsible for keeping misinterpretation to a minimum. Thus, extensive training is crucial. Aside from a bachelors degree, interpreters and translators must obtain a variety of certificates. Language and interpreter training can be just as effective as classes at universities. The American Translators Association and the International Association of Conference Interpreters offer various forms of certification. Interpreters and translators who work in more specialized fields such as industry and technology need more specialized training and sometimes even a master’s degree. So how do you prepare for examination tests to become an interpreter or translator? Master a second language! Living Language provides 42 courses on OpenSesame that cover a variety of languages at all different levels. Capturor offers language courses and tutoring systems that covers six language and includes over 20,000 interactive exercises. Altissia specializes in innovative, mobile language training so you can learn another language on-the-go. If you are interested in becoming an interpreter or a translator, the world is at your fingertips. Use OpenSesame’s courses to master various second languages so you can pass your certification exams and reap the benefits of one of the fastest growing jobs of this decade. Who knows, maybe one day you will get to help some tourists order a caramel macchiato while visiting the Great Wall of China.